Welcome to Big Bones! We are an all breed, 501(c)3 non-profit, dog rescue located in Windsor, CO dedicated to helping dogs in need! While our hearts lie with the giant breeds, our mission is to save dogs from death, illness, and misfortune regardless of their size, age, breed, or health status. We hope you will open your heart and your home to a dog in need! Alesta's past must not have been kind to her, but this girl is working hard to see the finer things in life. She's good with male dogs and really enjoys the company of female humans. However, Alesta needs a home without a male adult human. She's very fearful of them. Windsor. $250. 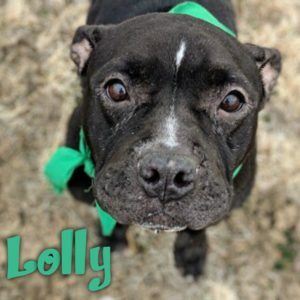 Lolly is a lovely, 5-6 year old, female, American Staffordshire mix. She's super kid friendly, crate trained, and does well with other dogs with a proper intro. She's currently being treated for heartworms. Her adoption fee is $250. Miss Sophia! This gorgeous girl was dumped in a shelter in Texas. She was completely emaciated, had been breed over and over and over again, and found herself facing euthanasia. It’s no secret we like hounds and have an unimaginable soft spot for the discarded. 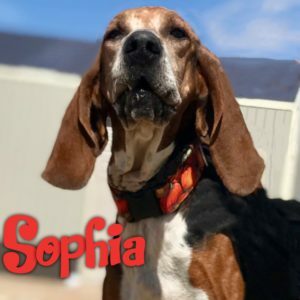 Sophia is an approx 6 year old, female, Coonhound. She’s dog friendly, didn’t respond to the cats in the vet office, and is great with adults and kiddos. She wants a place to call her own! Please share!!! Located in Windsor. Adoption fee is $300. Butchy is a handsome, loving, boy who recently lost his home due to his owner entering hospice care. He would love a home with another large, female dog and humans that love to snuggle. Brooks is such a handsome, sweet boy that will thrive in a home as the only dog. He's a strong boy, so a strong human is preferred. Jax is a handsome, playful, seet boy who is dog, kid, and cat friendly! Jax is well mannered in a home, too! If you see a dog you’re interested in adopting, please start by filling out an adoption application. We show dogs by appointment only. If you’d like to support our mission, please click the donate button below! All donations are tax deductible. Your support is appreciated!